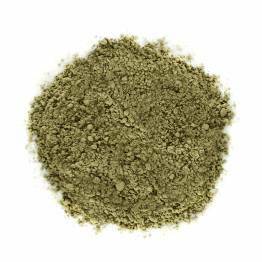 Our raw cacao powder is highest graded, single source, fine aroma Ecuadorian cacao powder. It is free of any chemical pesticides, herbicides, sweetners or flavor additives of any kind. It is made with certified organic cocoa beans, and it's gluten- free, nut-free, vegan, non-GMO and kosher certified. Raw Cacao powder is known to contain a rich supply of magnesium, dietary fiber and antioxidants including flavonols and polyphenols. It is an aphrodisiac because it contains anandamide, a substance that induces euphoria, which is also found in chocolate. It makes a fabulous high protein addition to smoothies or shakes and is also great in puddings, in baking and cooking. Cacao is said to be the food with the highest amount of antioxidant. In raw form, cacao powder contains more than 1,500 beneficial compounds! The flavonoids found in cacao help relax the walls of our cells and blood vessels. This is good news for anyone with high blood pressure. Cacao also contains plenty of the muscle-relaxing mineral magnesium, known to help improve sleep and relieve constipation. Cacao can help to give a bit of an energy boost. It contains a stimulant called theobromine, which is similar to caffeine but doesn't cause the same "crashed" feeling shortly after consuming it. Have you tried Cacao Powder? Tell us what you think! Great quality and nice aroma. Chocolate has a long and rich history. 4000-5000 years ago (about as old as tea!) the Aztecs were grinding cacao beans and adding to drinks and foods. From there it spread across the world, originally only a luxury the very wealthy could afford. Eventually, chocolate production became easier – the Industrial Revolution helped this – and chocolate became more accessible to all. Today, we see chocolate in everything from inexpensive candy bars to luxury truffles and drinking chocolate. The cacao bean is so widely loved, but only recently is coming into the spotlight as an ingredient on its own. 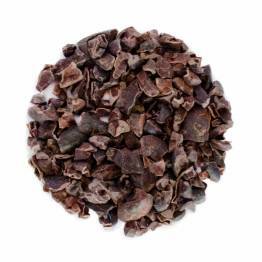 Cacao nibs are great for snacking or cooking with, while real cacao powder is a great ingredient for beverages, baking, smoothies and more. Luckily for us, these little beans not only make our beloved chocolate treats, they’re also full of health benefits! Antioxidants: Cacao beans are full of antioxidants. Antioxidants help fight damage caused by free radicals in the body.